In Kali Yuga, Hanuman is Sankat Mochan as he has control over all the Navgrahas. He can turn even the ugliest situation into a favorable one. He can change bad luck to good luck. 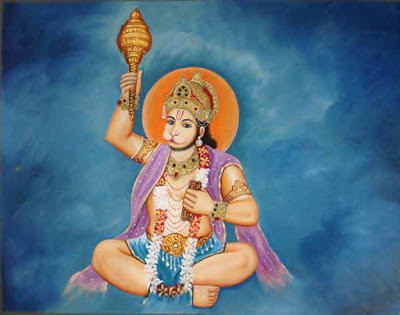 This Sankathari Mantra of Hanuman contains six names of Hanuman and chanting them will help in solving any problems in life. The mantra should be chanted in a Hanuman Temple for nine consecutive Tuesdays after 5 PM in the evening. Wear red or kesar color dress. The names should be chanted 108 times. Keep count on a Rudraksha Mala. Offer nine Bundi Laddu or nine banana as Prasad to Hanuman. Write your problem in a peepal leaf using red or orange natural color. Keep it at the feet of Hanuman.